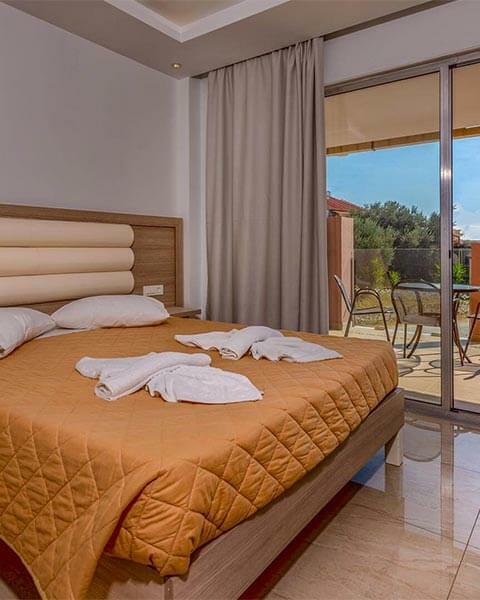 The Caretta Beach Holiday Village consists of the following room types: one bedroom apartments, two bedroom apartments and studio apartments. 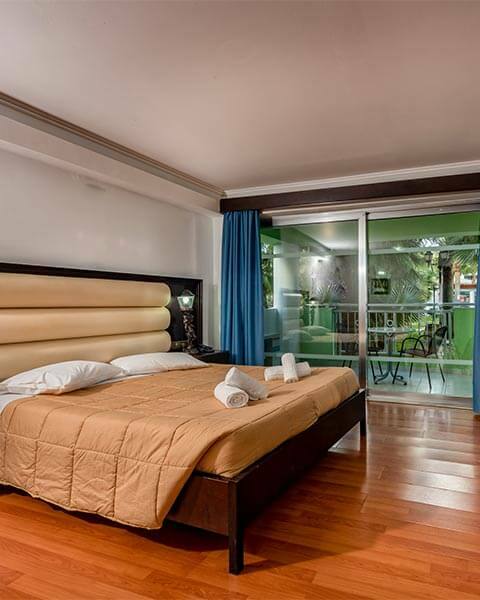 They are situated on the ground floor, first and second floor and can accommodate 2-6 people. 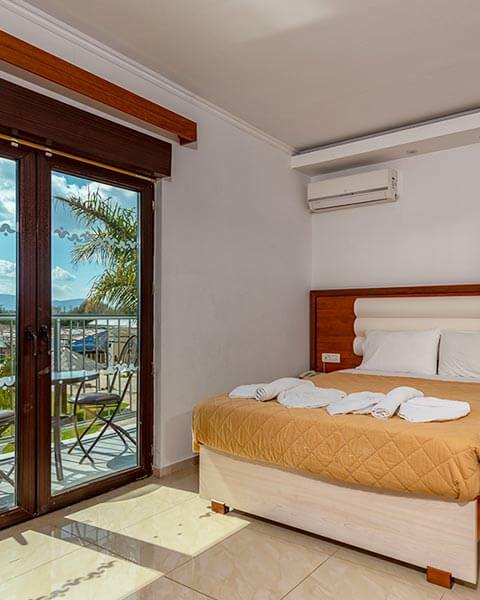 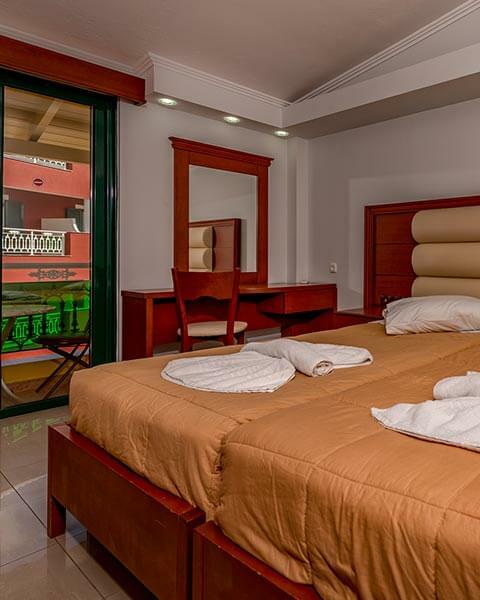 All apartments are comfortable, with modern decor and feature air-conditioning, telephone service and furnished balconies that overlook the swimming pools. 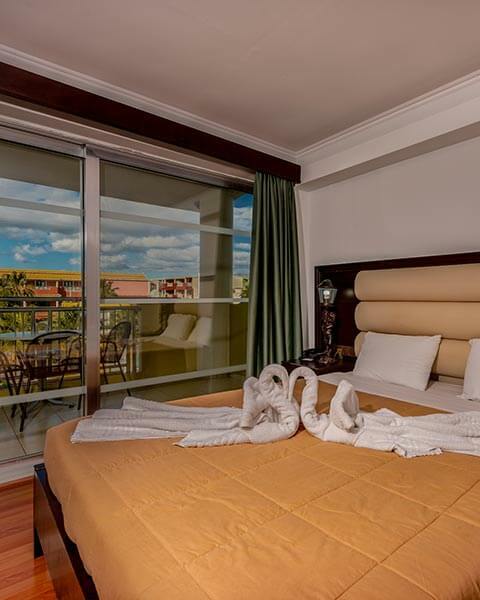 Some studio and one bedroom apartments also feature fully equipped kitchen with microwave, kettle, fridge and all necessary utensils.